Get cozy with this healthy slow cooker recipe, perfect for the cold winter months. 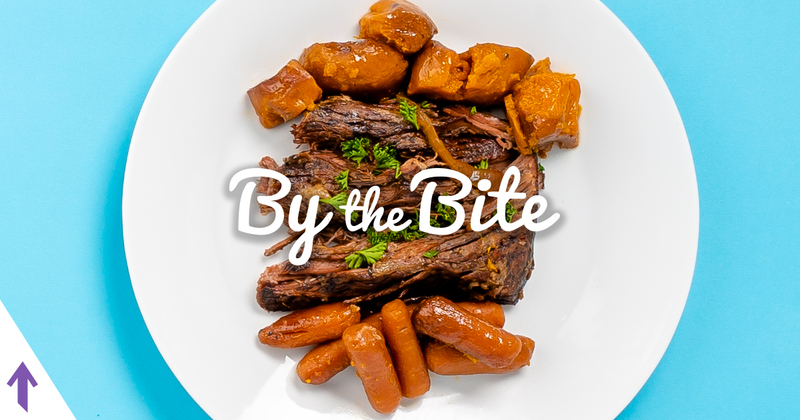 Enjoy simple, delicious brisket and vegetables when you come home at the end of the day with just a little preparation in the morning. Plus, a one-pot meal means you can reduce time spent cooking and cleaning up. The National MS Society says organizing meals in advance can help you save time and make healthier decisions. This simple meal is high in protein and includes lean meat and a variety of flavorful vegetables. MS specialists recommend incorporating this combination into your meals for a more balanced diet. As always, be sure to discuss any dietary changes with your healthcare provider. Simple and plentiful—this savory dish is perfect for serving to a large group or makes great leftovers for the next day. Cut brisket in half and place in slow cooker. Peel sweet potatoes and cut into bite-sized pieces. Slice onion. Place vegetables over brisket in the slow cooker. Combine seasoning mix and water in a small mixing bowl. Stir well. Pour mixture into the slow cooker. Cover and cook on low setting for 8 hours, or until brisket is tender. Remove brisket from slow cooker and slice. Sprinkle with parsley. Serve with cooked vegetables and dress with juice from slow cooker. If you liked this recipe, then you’ll love our slow cooker chili. Share some of your time-saving cooking tips in the comments below. We may share them in a future blog post or on the Lift MS® Facebook page. Sign up for emails to receive more blog posts like this By the Bite in your inbox!